Alex Weber believes each person is capable of incredible things. He’s on a mission to inspire students to face their fears, embrace failure, and live in the moment as our fullest selves. Through a mix of comedy & motivational stories, Alex empowers each student in this unforgettable experience. Alex’s pedigree includes being an active World Record Holder, 5x TEDx Speaker, American Ninja Warrior, and one of the youngest coaches ever to be awarded US Lacrosse Coach of the Year honors. As a professional comedian and entertainer, Alex Weber has hosted for NBC American Ninja Warrior, Discovery Channel, Under Armour, FX, and more. Alex is an in-demand Keynote Speaker who brings years of on-stage experience to every event, transforming and empowering audiences live and through media around the world. Impacting over 3.5 Million people, Alex has worked with major companies like ESPN, Goalcast, LinkedIn, University of Pennsylvania, Los Angeles Lakers, Georgia Tech, AirBnB, and more. Alex’s personal purpose is to empower each person to live a life they love, powered by their best self! Having been an elite level athlete in the Division 1 Ivy League, an American Ninja Warrior, and a World Record Holder, Alex knows what it means to be committed to achievement. Sacrifice, discipline, and laser focus on your end goals. And as a championship winning coach, Alex knows what it takes to rally others around a vision and go out and execute. But he also knows the other side: the failure, the self-doubt, the fear. And what that does to your confidence and mindset. Diving in deep on how he broke past thresholds and achieved at the highest levels, Alex shares with audiences the tangible lessons of a life of pursuit, and also the advice he wish he could have heard on his own journey. There’s a lifetime of hard work and hands-on experience beyond the lessons in this powerful and humorous keynote. how to fail-forward past challenges to achieve success. As an accoladed and championship winning Coach, Alex knows how to inspire peak performance. He’s also been a successful entrepreneur leading 100+ employees in 3 different industries. His core belief for Leadership is to begin with sincere care for the well-being and future of those we are leading. From decades of elite level athletics to becoming one of the youngest people to ever win US Lacrosse Coach of the Year, Alex shares his insights on facing challenges, achieving as a team, and inspiring peak performance. how to develop a mindset to progress past adversity. 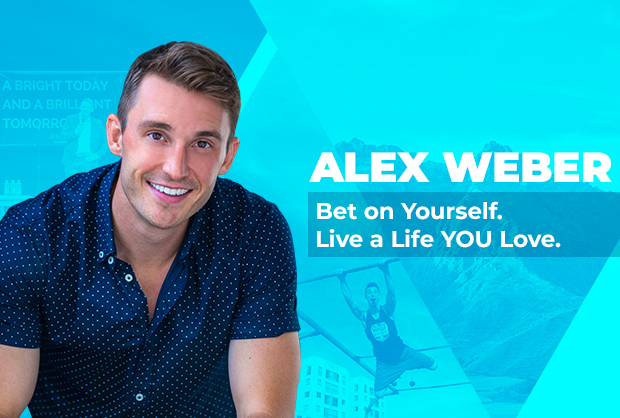 In this keynote, Alex uses humor and storytelling to go in depth and share what he believes to be the essential ingredients of a meaningful life: find something you love. Give it everything you have. And your best self will come forward. Combining practical lessons with hilarious stories, Alex shares the fulfilling heights, the personal pitfalls, and the mentors who have helped him get to the next level. Students will walk away with a new passion and outlook on how to bring their best selves forward. how to empower their passions.